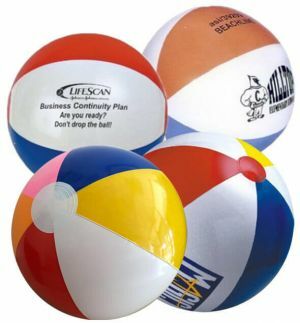 Promotion Choice's 24 inch size custom beachballs adds excitement to any outdoor occasions and events. 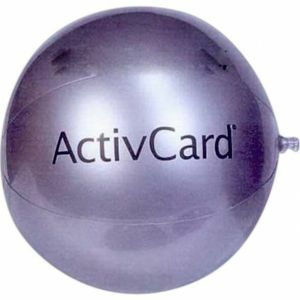 Hurry up and order personalized beachballs in a large 24 inch size today. As a company, we always strive to exceed your standards with our our quality, low cheap prices, and quick delivery. With plenty of unique colors available, we help you set the stage to make your brand or logo pop! In this category of beachballs, the balls can be inflated up to 24 inches in size. Here in the United States, beach balls are measured on the arc from the top pole of the branded beachball to the bottom pole. 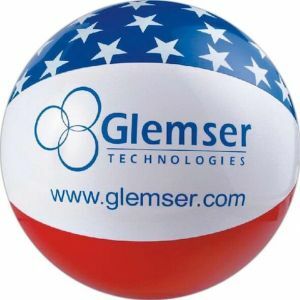 Printed beach balls create a joyous and energetic ambiance at any parties and events. 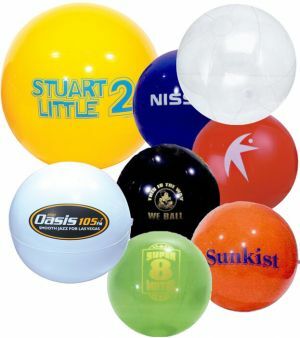 Our imprinted 24" beachballs are a great source of entertainment for not just kids, but for people of all ages and all walks of life. These inflated printed beachalls are not only attention hogs, but they also make your events more interesting by adding colors and some bouncy fun! As giveaways, they are very popular amongst our customers who use them for corporate functions or private parties and events. 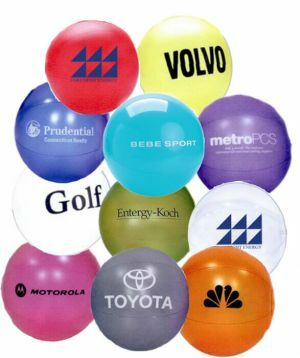 Not only do they make events moreenjoyable, but promotional beachballs also create lasting memories by making your guests participate and play instead of just standing or sitting around. 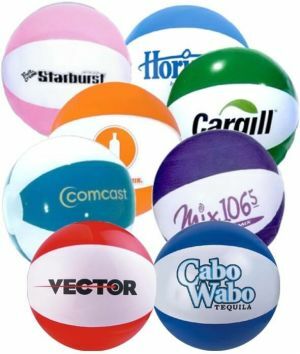 As mentioned, these 24 inch personalized beachballs are ideal for a wide variety of different events - from small personal parties to large corporate marketing campaigns. 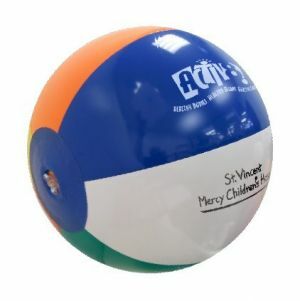 With our swift turnaround time for custom 24" beachballs, and low set-up costs, Promotion Choice has over the years set ourselves up as a favorite amongst customers to order imprinted beachballs from. Place your order easily online yourself or call us to place it over the telephone for you. We are standing by to assist and to ensure that your order goes smoothly!